2018. By Lourdes B. Aviles. 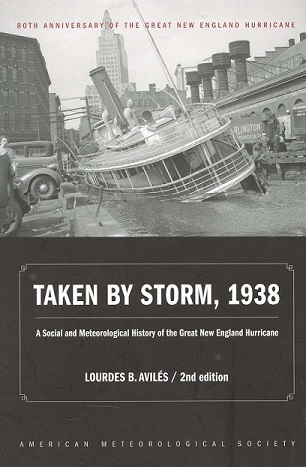 Published by the American Meteorological Society, this new second edition copy examines the science behind the great New England Hurricane of September 1938 and its impact on the region and the science of weather forecasting. The author is a professor at Plymouth State University's Meteorology Program in Plymouth, New Hampshire. Softcovert. 266 pp.